I sipped tea and ate delicious dim sum while for this interview which will take us on a journey back to a Chinatown that only exists in vague childhood memories and stories. Here is a link to an article from the newspapers. But for the Chinatown word of mouth story, read on. "This Restaurant," I'm going to call our story teller, Fred, "Actually used to be the Beach Club lounge on over there by the exit, that was a jewelry store, this was a bar!" Wait so this was part of the Combat Zone? He nodded, "It was part of the Combat Zone. And there were a few clubs up there. And you know, the Naked Eye was over that way, and I mean this would never fly nowadays of course, but back then! I mean what a great sign!" You know I wish I had a picture of that sign to post right here. It was flashing neon lights of the legs of a woman spiraling like an octopus, and a well placed picture of a giant eye between those legs. The image was burned into my childhood, especially since their phone number was only one digit off from my home phone number, and so I had got many calls to my house requesting times of shows, girls, etc. "But anyway," Fred Continued, "my father owned the grocery store next to this place and then eventually he bought this building and opened up a restaurant. That was called the Lucky Dragon and it was open from 1978-1993. 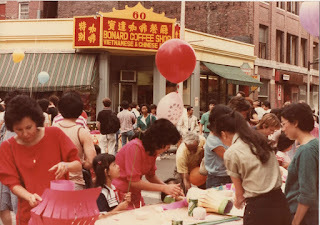 And in my childhood, we would be running from the grocery store to the restaurant and back and forth... and Chinatown was kind of our PLAYGROUND. I mean I saw a lot of crazy stuff growing up. But even though we were right next to the combat zone.. we were perfectly safe. I mean everybody knew who I was and who my father was. It was that strong community that allowed us to run around like that." "Chinatown was the Center. There was Tai Tung and Castle Square and Mass Pike, people in the South End and people in the suburbs, and eventually my father moved me out there too....but where did we all meet? Chinatown." Do you think that community still exists now? "Not like before. It's different now. For instance, the August Moon Festival. Before I mean they had the stage with performing Lion Dance and Kung Fu, yeah same thing... but now it's like.. I call it the Flea Market Festival. All the tables are selling something. But before it wasn't like that. We made puppets, we had arts and crafts and there were all these things for kids. It was more of a Community thing." "Haha! I have a funny story. So you know Kwong Kow, the Chinese school, it used to be where Sun Sun is now. Anyway, I was selected to memorize this speech for the San dei Mo, you know the heaven earth dance, they would come out, and.. well it's very unique. But I had to give the introduction for the Kwong Kow graduation ceremony. And I did. I didn't know what I was saying I just memorized it, but I went up I said the thing and then left. But I didn't realize that I would have to do that for the August Moon Festival too! So Chinese School ended at around the same time regular school ended, and school and Kwong Kow faded into the back of my mind to make way for summer things. And then the August Moon festival came and then a few minutes before the San dei Mo, they came in here in the restaurant to find me and told me I had to give the SPEECH! I was like, 'WHAT? I don't remember. And then you know Jong Seen Sang, Mrs. Jong she just told me to do my best." "So I get up there and I start and then suddenly I lost it and stumbled and then you know people started to laugh. But you know I KNOW these people. Then I got it back, but it was too late. They were all cracking up and laughing at me. But I finish and I walk off the stage and Chan Seen Sahng, Walter Chan, the dance teacher, starts yelling at me that I should be punished. I mean I was like 'whatever' and just left. But to this day, I get stage fright. When I went to college if I had to do public speaking I had to practice over and over like two days in advance because I was so afraid, and it all stems from that Kwong Kow speech on August moon." Do you think Chinatown will stick around? I mean you won't sell right? "No I won't. But my kid might. And that would be up to him. I mean really it all comes down to this." he said holding his hand up in the gesture for money. "Money. And the City doesn't help either. I mean someone double parks to get a Bubble Tea for a dollar twenty nine, but then BAM! they get a $50.00 parking ticket. They go to the grocery store to mai choi, to buy like a vegetable for two dollars and change, BAM! Fifty buck for a parking ticket. But before I mean for better or worse, there would be all the cars double parked and people would go and do their shopping. But now, why deal with that as a shopper. Better to go to the places further out where there is parking. And as a business owner, it's just too hard to make a buck. I mean I've been lucky. But I mean for a lot of people, why go through the headache? 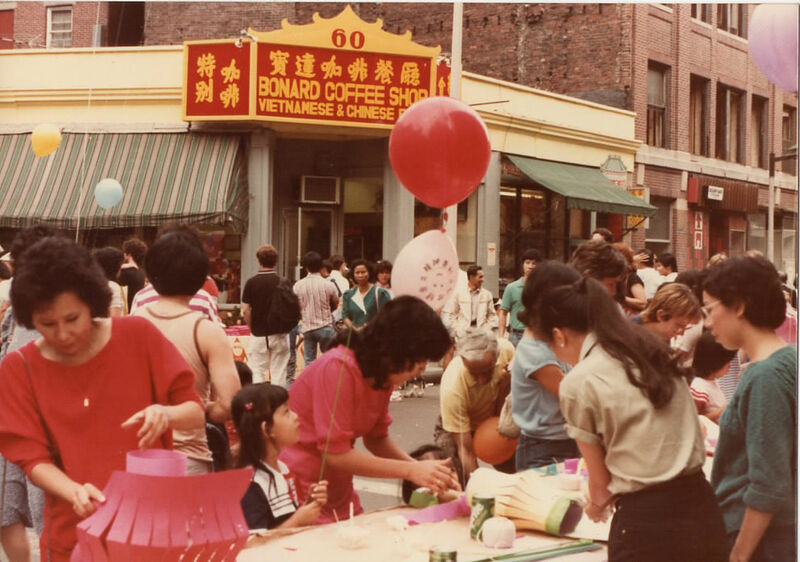 And Why deal with Chinatown politics when they can go out to Quincy and make a fresh start?" So what do you see for the Community's future? "Well it's still important for new immigrants, I mean unless they already have family here. 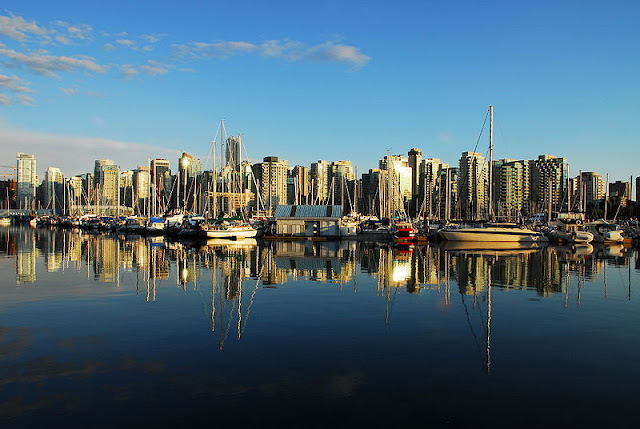 It's cheaper to live here or more convenient than having to be out in the suburbs. It's one of the only places where you don't have to learn English right away. They need it as a stopping place to get situated, I mean unless they already have support here that's different. But some of the really cool stuff is already gone. I mean it was the Supermarkets, the Dim Sum, the Bakeries, all these places to come together and socialize. I mean those places are still here but it's not the same because now not everybody comes in to Chinatown. And the old people use to have that old age home by Castle Court where the old people could get together and then socialize and watch TV and eat a bowl of rice. FOR FREE!" he gestured eating and then opened his eyes and mouth wide, "Oh! I mean that was GREAT! The old people had a place to get together and talk." He paused, "But then somebody has to pay for that. So it really comes down to money." "Did you know, that actually Chinatown was not always Chinatown. Before it was a big Jewish neighborhood." and then he got closer to whisper, "And actually you know, if you came here in the 60's and 70's, it didn't matter where you came from, if you didn't learn Taishanese you couldn't get work! I mean Chau Chau City, one of the brothers, I mean c'mon Chau Chau, chiew Chau, they aren't Taishanese, but he talked to my mother in law in Taishanese. And I was surprised. I asked him, 'what's with the dialect?' and he told me, 'When I cam here if you didn't learn Taishanese you couldn't get work." "Yeah mean who knows. But in the end it's all about money. And the developers come in here with big pockets and bribe people. I mean remember those people who were displaced on Hudson street? I mean yeah the building had code violations... but in the end.. that property... is gonna be a condo!" he laughed.